Though endowed with many strengths, it is the vampires’ adaptability throughout the ages that have made them into the successful monsters they are today. Originating as the demonic creatures of folklore, often to explain the rapid spread of disease, the vampire has evolved into a sophisticated, highly adaptable vehicle for the fears and insecurities of the time. Most other monsters seem antiquated in contrast, occasionally pulled out and dusted off to shine for a moment, then fall back into the annals of cultural consciousness. Perhaps the vampire is still merely explaining the diseases that mystify us; only we have traded diseases of the body for those of the consciousness, society, and our very nature. This article will explore the evolution of the vampire as a metaphor by examining key themes and contrasting the vampires of Dracula by Bram Stoker with the vampires of Jim Jarmusch’s 2014 film, Only Lovers Left Alive, starring Tilda Swinton and Tom Hiddleston. Traditionally, the vampire represents a pure form of evil; it is inhuman, animalistic in its appetite and perverse in its nature. Humans, by contrast, are God’s creatures, made in His image, and ultimately a force for good. However, in Jim Jarmusch’s film, the vampire occupies the moral and intellectual high-ground. In other words, Jarmusch’s vampires have evolved from Stoker’s concept of immoral destructors of good, into genuinely appreciative preservers of life. His vampires’ despair at humanity’s culture of excess and instant-gratification, viewing humankind and its unquenchable appetite as a force of destruction and the eventual cause of the end of civilization. If vampires are the reflection of our fears, then this evolution and role reversal are more than merely the trope of the sympathetic vampire. Rather, Jarmusch’s vampires serve to reflect the modern fear that humanity’s ambition has become its own worst enemy; a sharp deviation from Stoker’s classic tale. Dracula, by contrast, is careful to avoid moral ambiguity regarding its vampires, and just as careful to maintain the image of purity and goodness in its humans. 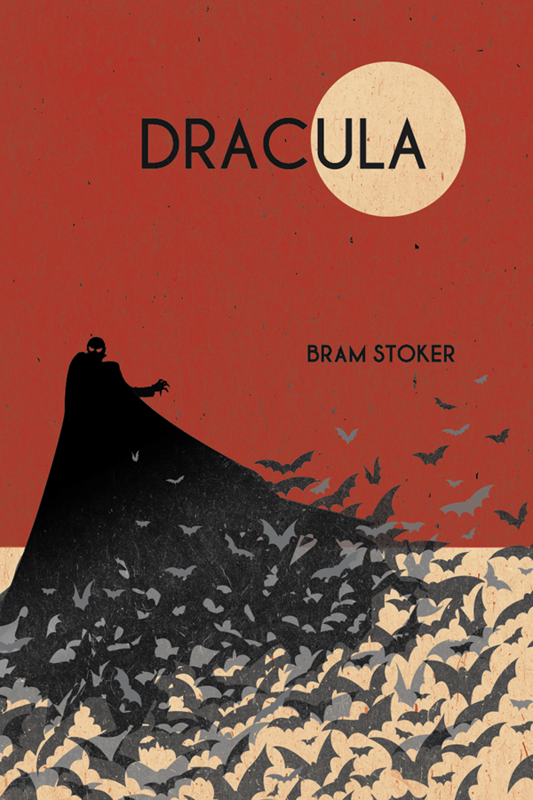 Bram Stoker accomplishes this by only referring to Count Dracula and his kind in animalistic terms or by qualities which are deemed morally abhorrent, such as wantonness or violence. In doing this, Stoker establishes the vampire as an unrelatable creature, vile by nature, and grossly at odds with humanity. Conversely, Stoker establishes his human protagonists in the light by frequently describing them by their admirable characteristics as well as their positive relations to each other, such as friend, fiancé, and so on. Furthermore, the humans pit themselves against the destructive, immoral forces of the vampire, cementing their black and white distinction. Immortality, as it pertains to vampires, is regarded as a state of eternal damnation, as the vampire is left to roam Earth for eternity as a slave to their profane nature. The everlasting life of the vampire is god-like but blasphemous. It can be “gifted” to another but at the price of their soul and humanity. In Only Lovers Left Alive, Jarmusch uses the immortality of his protagonists to explore and comment on cultural history, exposing the cyclical nature of life. Immortality becomes a metaphor for intellectual accumulation and hard-won perspective. To live for centuries means to have seen centuries worth of art, music, literature, politics, uprisings, collapses and rebirths. In this way, eternal life has instilled in the vampire a kind of faith and optimism for the endurance of existence, while also providing a source of depression as these immortal beings watch humanity commit the same mistakes, seemingly never learning from their collective past. By stripping eternal life of its moral and religious trappings, Jarmusch redefines the curse for a modern audience. Immortality is nothing more than a wealth of time with which to experience and gain knowledge of the world; a far cry from Bram Stoker’s blasphemous state of damnation perpetuated by the destruction of life. Bram Stoker’s depiction of the eternal life of the vampire reflects a fear of a false god and the religiosity of the time. In Dracula, it is the nature of the vampire’s immortality more than anything that casts them into the realm of the godless. Count Dracula is the corrupted image of Christ, promising eternal life to his followers by damning them to his state of inexhaustible appetite and violence. He is blasphemous too for the fact that he imparts the ability to give eternal life to his victims, who thus become minor gods themselves, further undermining and mocking the image of Christ. To the protagonists of Dracula, this is a fate worse than death. In this way, the alteration in the appearance and metaphor of the vampire reflect an evolving relationship with the cultural anxieties of the time. Jarmusch’s Only Lovers Left Alive reflects our growing sympathy for the monster that has blossomed over time. By depicting the role of the vampire, not as a force of destruction and death, but as an appreciator of life and art who despairs at the destruction of the world, Jarmusch endowed his vampires with an intellectual and moral depth hitherto lacking in vampire lore. The treatment of eternal life in Only Lovers Left Alive is vastly different from its depiction in Dracula, and indeed most other vampire adaptations. Whether this alteration enhances vampire lore is debatable, as by removing religious damnation one might argue that the history and origin of the vampire are either lost or unrecognizable. However, others might argue that this freedom from damnation signifies a conquering of the vampire’s undesirable compulsions. The latter position is supported by Jarmusch’s lead protagonists, Adam and Eve, who reject excess, are in a centuries-old monogamous relationship, and consider the act of drinking blood by biting a human to be archaic. Jarmusch evolves the vampire into a creature whose excess of time and ability to conquer is turned inward, suggesting that even the most damning aspects of our nature can be tamed and turned into something nourishing. To conclude, the vampire from its conception has served as a means of exploring the external and internal conflicts, anxieties, and fears of the time. The vampire has evolved from a loathsome, grotesque creature designed to repel and incite fear; to an animalistic man, perverse and profane by nature, designed to seduce and destroy; to a creature of moral and ethical standing, able to despair at the destruction of the world, and appreciate the complexity of life from the perspective gained by immortality. The various alterations and adaptations of the vampire illustrate the monster’s role as belonging to the collective social consciousness and how that consciousness shifts over time to fixate on different aspects of human existence. In sum, over time, the vampire has shed some of its monstrous identity, transforming the formerly damned eternal life into a lesson in context, the formerly unquenchable appetite, now conquered by moderation, becomes a lesson in growth. It is this growth and constant adaptation that has kept the vampire alive and its lore vibrant. Had society not seen themselves so thoroughly reflected in this monster, the vampire would remain as antiquated as the Mummy, falling to the wayside of our culture. Inoue, Yoshitaka. “Contemporary Consciousness as Reflected in Images of the Vampire.” Jung Journal, vol 5, no. 4, 2011, pp. 83-99. ProQuest, https://search.proquest.com/docview/905250099?accountid=1169,doi:http://dx.doi.org/10.1525/jung.2011.54.83. Oates, Joyce C. "The Aesthetics of Fear." Salmagundi, no. 120, 1998, pp. 176-185. ProQuest, https://search.proquest.com/docview/221312800?accountid=1169. Pehlivan, Bahar M., and Gü Atalay. “Aestheticizing the Downfall of Industrial Capitalism: Jim Jarmusch’s Tale of Intellectual Vampires in Zombies’ World.” CINEJ Cinema Journal, vol. 6, no. 2, 2017, pp. 32-48. ProQuest, https://search.proquest.com/docview/2064915560?accountid=1169,doi:http://dx.doi.org/10.5195/cinej.2017.163.